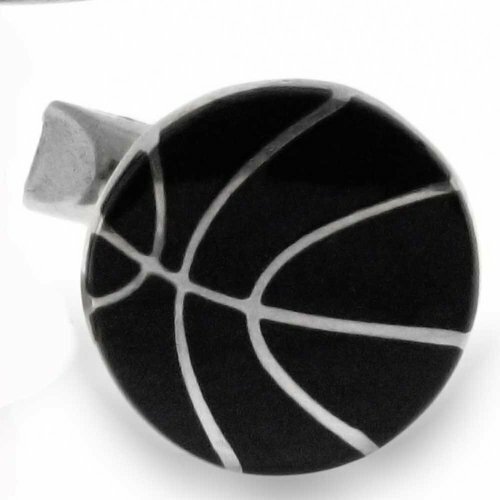 These dashing mens black Simulated Onyx color cufflinks are made of solid .925 sterling silver. 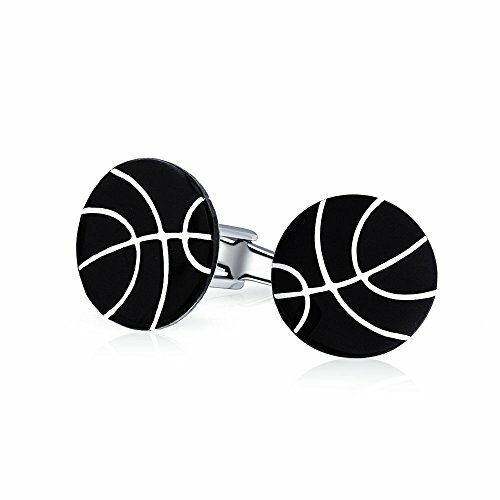 This dapper pair of posh cufflinks for men feature quilted black enamel laced with a gallant basketball pattern. 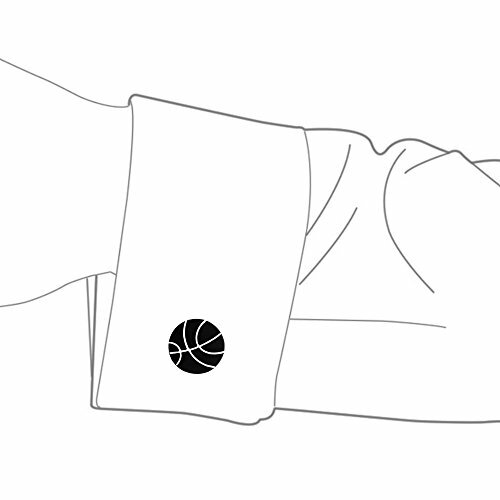 These classy, unique and snazzy black cuff links are a stylish gift for the Basketball fan in your life. These basketball cufflinks are an ideal fathers day gift or groomsmen gift. 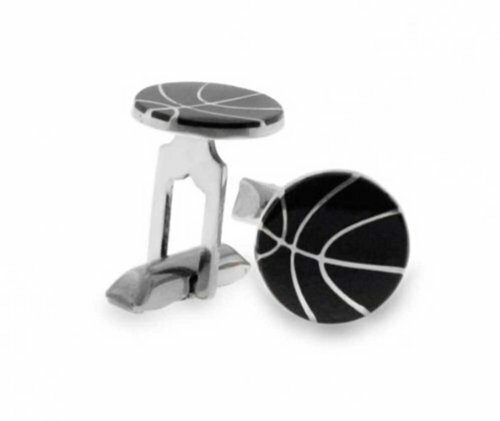 These silver cuff links are the perfect accessory for formal wear. 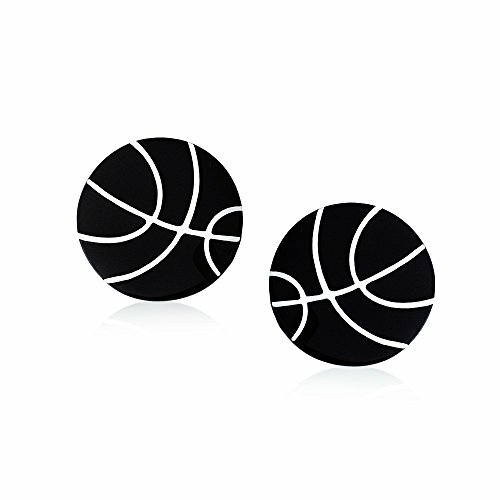 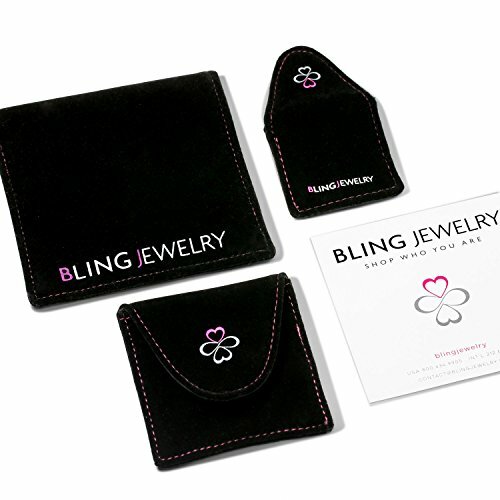 Buy your pair of these fantastic pieces of sports jewelry for men today.